Mums, The Milk You Are Giving Your Child Is Slowly Making Him Very Sick! While milk is perhaps one of the most common calcium and protein-rich food items, there is a likely chance that your kids can get these essential nutrients from other food sources. And now with this shocking piece of news, we bet you will automatically stop giving milk to your child and look for alternatives! It has been reported that Indian children are falling sick and developing immunodeficiency at an alarming rate due to the milk they are given, most of which is highly adulterated in India. The Food Safety and Standards Authority of India (FSSAI), has noted that about 65 to 90 percent of milk in India is adulterated and Indian mums who are unknowingly giving their kids milk must actually be more careful about how they want their kids to take key nutrients. In fact, quite recently at the Lok Sabha Question Hour, the Science and Technology Minister, Harsh Vardhan, had revealed that around 68 percent of milk in India does not conform to quality standards. He had also shared that the most common adulterants in Indian milk include glucose, detergent, caustic soda, refined oil and even white paint, which are all extremely hazardous and can cause serious ailments including immunodeficiency. Naturally, this has become a big concern for Indian mums. 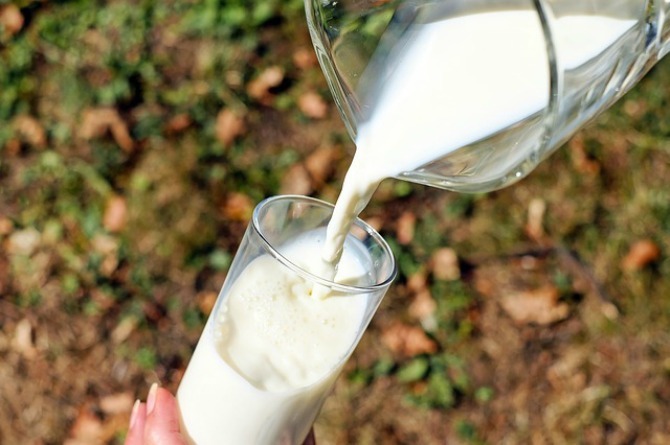 The expert also suggested that apart from adulterated milk immunodeficiency can also be caused by air pollution, sedentary lifestyle, unhygienic conditions and also due to genetic disorders, which could lead to severe infections. These infections are difficult to curb or control even after using antibiotics and can reoccur one or two weeks after the dosage is complete. The Union Ministry of Healthy and Family Welfare has also listed things to look out for to spot and curb immunodeficiency. As per the ministry, four in every 10 children is not properly immunised, especially at the time of birth. So if you haven’t either, consult a doctor immediately. The American Academy of Allergy, Asthma and Immunology (AAAAI) also suggests that children who may develop ear infection, pneumonia or even sinusitis may be suffering from immunodeficiency. Get your child tested for these if you spot him wheezing, coughing or having mild fever. Apart from these symptoms, it is important to include healthy habits in your child’s daily routine so as to boost his immunity. Continue reading to see what you can do to boost your kid’s immunity! While it is important to test the milk you purchase, it is also important to include healthy habits in your child’s lifestyle. “Immunodeficiency can be rectified with proper dose of key nutrients. Healthy food habit and safe drinking water help to a large extent,” Dr Vivek Jain, additional director and head of Neonatology at Apollo Hospital, Delhi, reportedly said. Here are a few things you can do to boost your child’s immunity. While many experts suggest that you wean your child after six months, it’s best to continue it for a minimum of one year, if you can. Breastfeeding has many benefits including boosting of immunity. The Colostrum or the yellowish first milk provides important immune protection to the infant when he is first exposed to the micro-organisms in the environment. Not only that, it also prepares the gut lining to receive the nutrients in milk. Replace milk with healthy foods such as nuts and dried fruits, almonds, pistachios that are rich proteins, minerals and vitamins and also in antioxidants such as omega fatty acids, zinc and vitamin E. Add fruits such as strawberries, oranges and kiwi to boost immunity. And finally, include dal khichdi and green vegetables to add zinc and calcium to your child’s diet. While your baby must be getting into a proper napping schedule, ensure that if he is under 1 year, he must sleep twice a day-once in the morning and then during the afternoon. If he is above 1 year, he must sleep once during the day. Encourage your child to develop an effective sleeping schedule and if you spot signs of drowsiness, quickly get your baby to the crib. In oder to help your child from not developing immunodeficiency, make sure to follow these simple rules, and try to avoid milk. If that’ snot possible, check the adulteration (there are adulteration kits available in the market) and simultaneously try out food alternatives that offer the same essential nutrients as milk. Read: How much milk does an Indian child actually need?